Western blot analysis of extracts from various cell lines using eIF4G (C45A4) Rabbit mAb. 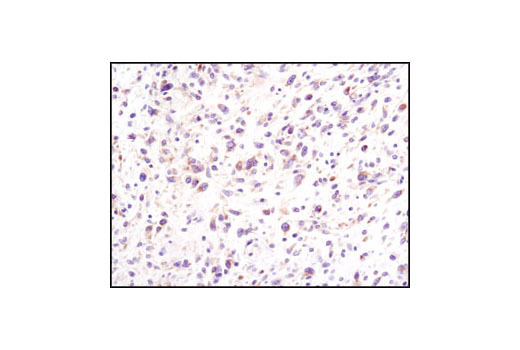 Immunohistochemical analysis of paraffin-embedded human glioblastoma using eIF4G (C45A4) Rabbit mAb. 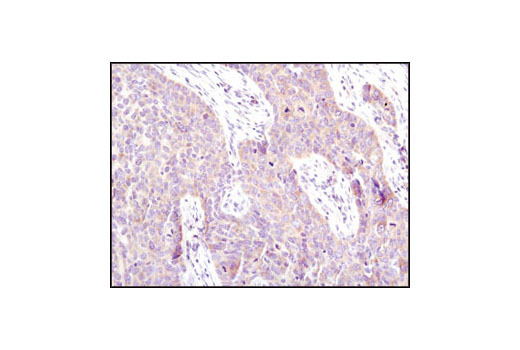 Immunohistochemical analysis of paraffin-embedded human lung carcinoma using eIF4G (C45A4) Rabbit mAb. 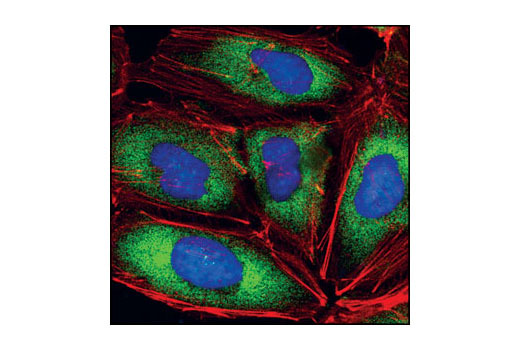 Confocal immunofluorescent analysis of HeLa cells using eIF4G (C45A4) Rabbit mAb (green). Actin filaments have been labeled with Alexa Fluor® 555 phalloidin (red). Blue pseudocolor = DRAQ5® #4084 (fluorescent DNA dye). 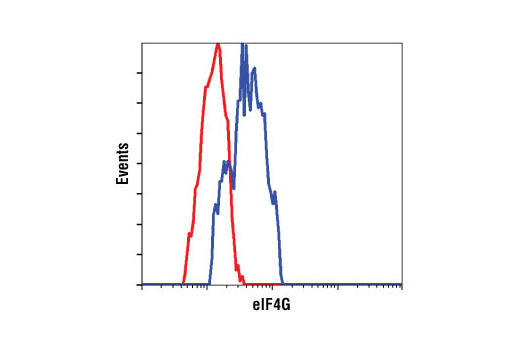 Flow cytometric analysis of HeLa cells using eIF4G (C45A4) Rabbit mAb (blue) compared to a nonspecific negative control antibody (red). 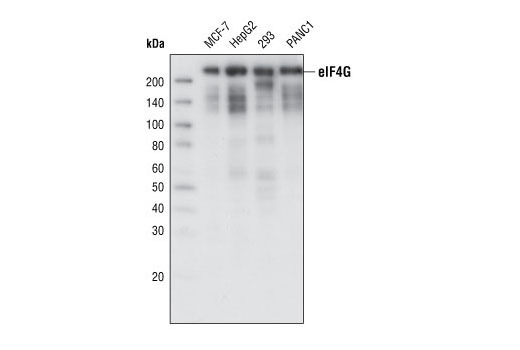 eIF4G (C45A4) Rabbit mAb detects endogenous levels of total eIF4G protein. eIF4G (C45A4) Rabbit mAb is produced by immunizing rabbits with a synthetic peptide corresponding to residues surrounding Gly188 of human eIF4G.